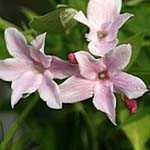 Jasmine 'Clotted Cream' a fast-growing climber with clusters of delicate, very fragrant flowers that are the rich colour of clotted cream in summer. 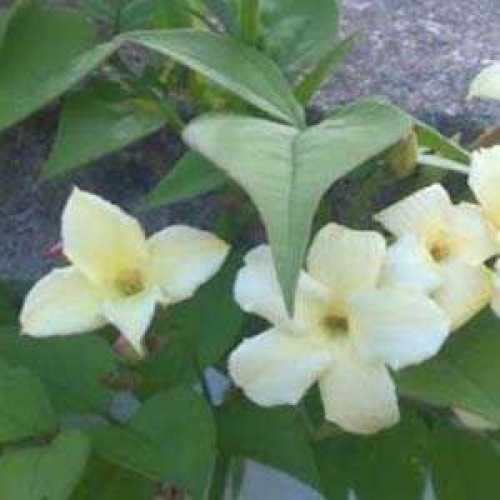 Jasmine plant care is not very difficult but does require vigilance. The vines need to be trained early when they are young. You may use plant ties or just weave them through the support. 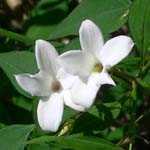 All jasmine plants prefer sun to light shade with well-draining and moderately fertile soil. 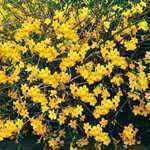 For both summer and winter jasmine, cut back flowered stems to a strong sideshoot lower down; thin out crowded, crossing or misplaced branches and remove weak or thin stems. Both types of jasmine tolerate hard pruning and renovation. 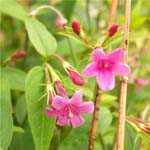 If the plant has outgrown its allotted space, cut back hard to within 60cm (2ft) of the base. Re-growth will be vigorous, so select strong shoots for training into the new framework, and remove unwanted shoots. The plant will take two or three years to start flowering again. Jasmine is usually fairly trouble-free. Please note that this is supplied grown on a trellis. For trellis dimensions, please contact us.